Entries from Digital Intelligence tagged with "flickr"
Snapchat and WhatsApp are now leading in the photo sharing department, ahead of Facebook and Instagram, according to new research. The Central Intelligence Agency (CIA) has launched a Facebook and Twitter account, revealing a sense of humour that has caused social media buzz… but not everyone has seen the funny side. This chart shows the top 15 mobile apps and the percentage of mobile internet users that they reach. 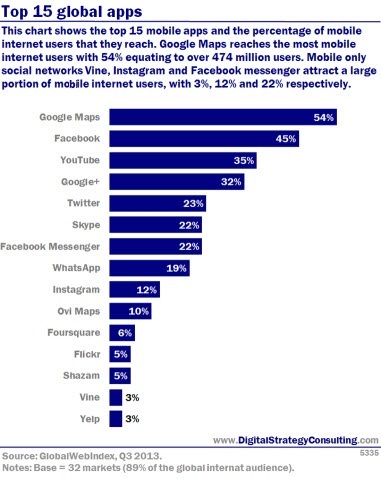 Google Maps reaches the most mobile internet users with 54%, equating to over 474 million users. Mobile only social networks Vine, Instagram and Facebook Messenger attract a large portion of mobile internet visitors, with 3%, 12% and 22% respectively. This chart shows the growth of the top 15 mobile apps between Q1 and Q3 2013. twitter's social networking effort Vine has seen the biggest growth of 2013 with a remarkable 403%, but still only reaches 3% of mobile users, the smallest reach of the top 3 apps. 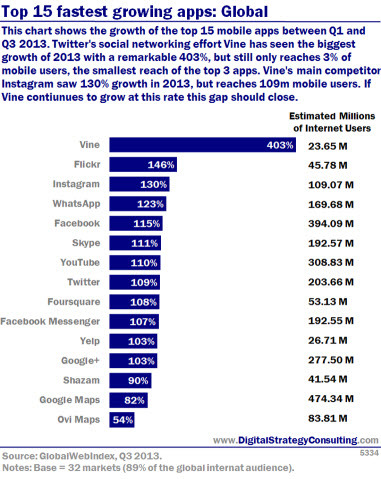 Vine's main competitor Instagram saw 130% growth in 2013, but reaches 109m mobile users. If Vine continues to grow at this rate the gap should close. Vine and Flickr are the fastest growing global apps for smartphone and tablet users, with Google Maps and Facebook being the most popular overall, according to new research. Yahoo has bought blogging platform Tumblr for $1.1bn (£725m) in cash, with CEO marisa Mayer pledging “not to screw it up” in a blog post. In just one minute, 204 million emails are sent, six million Facebook pages are viewed and 47,000 apps and 1.3 million YouTube clips are downloaded worldwide, according to new research. Last month, Facebook announced the $1 billion acquisition of photo sharing app Instagram. 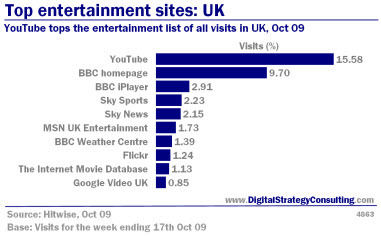 This is a landmark deal for the acquisition of an app but Instagram became the 10th most visited social network in the UK in March 2012, showing the increasing appetite for photo sharing online. According to research from Experian Hitwise, Instagram received almost 13 million UK Internet visits in March 2012, a massive increase from the 300,000 visits it received in March 2011. Toy-maker Lego has launched a new social network called ReBrick, aimed at fans looking to showcase their work and swap ideas. ReBrick is currently in an open Beta and serves as a hub for various existing fan-made Lego sites (such as MOCPages, Brickshelf and Brothers Brick) and for creations people post on YouTube and Flickr. 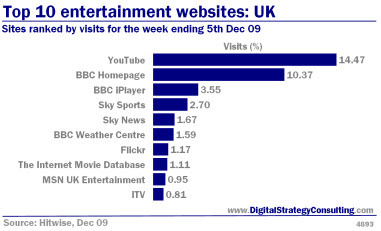 Sites ranked by visits for the week ending 5th Dec 09. Yahoo will let users of its email, photo-sharing and other online products link their content and activities directly into Facebook. Yahoo's support of the Facebook Connect service, which it said it expects to begin in the first half of 2010, represents an important move in Yahoo's efforts to tap the popularity of social networking and underscores the growing clout of Facebook, which now counts more than 350 million worldwide users. Earlier this year, Yahoo allowed users to preview messages from their Facebook friends directly on the Yahoo homepage, as part of a broad revamping of the Yahoo front page. The new move takes the integration between Yahoo and Facebook a step further, by automatically pushing activities performed on Yahoo sites, such as photos shared on Yahoo's Flickr, into the Facebook news feed.